So other than the whole Greg Romeus/injury training camp situation, what else is going on? Well for starters, Andrew Taglianetti, who had been sidelined recovering from knee surgery, was back today. Wide receiver Todd Thomas (elbow) is expected to get his stitches out today. If he does, he will be cleared for full contact. So far he has been limited in the drills in which he can participate. ... Wide receiver Greg Cross has been slowed by an ankle injury but Wannstedt said he should return to full speed over the next days. 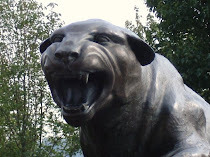 Monday was the first day in pads -- well, at least shoulder pads -- at Pitt camp which meant it was the first day that the quarterbacks got a chance to play against a live rush. And not surprisingly, it was the first day the quarterbacks, and in particular starter Tino Sunseri, struggled a bit as he threw two interceptions and was not nearly as accurate as he had been the first two days of camp when the players were in T-shirts and shorts. Eh, not a big deal - It's still early. I just wonder what kind of leash Sunseri will be on in camp if he struggles. What Pitt needs this season might only be mistake-free play from the QB. Also, DB Aundre Wright and WR/PR Aaron Smith are out for the season. Don't forget to stop by the SB Nation Pittsburgh site for updates on the training camp stream. Sunseri isn't on any sort of leash at all in training camp... he's DW's anointed starter much like Bill Stull was the last two years. Stull was DW's guy and nothing was going to change that. That habit is repeating itself this season. Wannstedt has never put a whole lot of emphasis on the QB position IMO - at least not to the point of ensuring that the best person for the job is out there. That is determined in practices and camps but DW's way is to pick a kid and cross his fingers. The real question is this... if Sunseri falters and starts costing us games with INTs will DW has the stones to replace him during the season? I agree that he is the starter set in stone for the forseeable future. While I don't anticipate it, if he had an awful camp, I don't see Wannstedt making a change before the season. As I mentioned in my SBN Pittsburgh post, Wannstedt has to realize what a special season this could be for Pitt and that they need to win the conference. 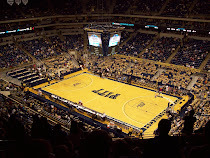 Like all teams, Pitt is fortunate that conference play doesn't begin until after several non-con games. So I think he'll give Tino at least that long to figure it out. If he were to struggle, my guess is that he would go to Bostick after a few games.